A PR agency I once worked for had a large chemical company as a client. One day, I was summoned to a meeting with one of the agency’s senior leaders, who asked if I would take over as the senior relationship manager for the client. The person who had been in that role was moving on to something else and — fortuitously — the senior PR person at the company was brand new. The company had a practice of rotating line executives through the PR department for a year or two and then sending them back into operations roles. This would be a great opportunity to make a switch at the top of the agency account team since the new company PR person had not formed a relationship with the agency person whose role I was asked to take. I agreed to take on the new assignment, and made arrangements to travel to the Midwest to meet the new PR head, who I will call “Susan.” The following week, I packed a bag and set out for the airport. 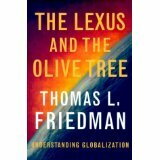 Now, the year was 1999, and the “must read” book was Tom Friedman’s “The Lexus and the Olive Tree.” I was enjoying it very much and looked forward to continuing reading it on the flight. By the time the flight landed, I had just two chapters remaining. What I should have done, of course, was reach into my bag for the book and offer it to her on the spot. I was in the client service business, I had a new client with whom I was trying to bond, and I had the damn book in my bag. But…I really was enjoying the book and I still had those two chapters left — I was looking forward to reading them on the flight home that night. So, I did not do what I should have done. Instead, I finished the book on the flight as planned, and the next day, I fired up my home PC and went online to Amazon.com. In no time at all, I had ordered a copy of “The Lexus and the Olive Tree” and had it shipped right to Susan’s office. She would get the book by the end of the week and all would be well. I called customer service at Amazon. As I explained what had occurred, the fellow in the call center had to put me on hold twice because he was laughing so hard, I thought he was going to hurt himself. When he finally regained tenuous control, he apologized and offered to send (at no charge) a copy of the right book to Susan. And, he said with some amusement, she could keep the other book, too. I am grateful that Susan has a hearty sense of humor and did not think I was rather dramatically overstepping the bounds of our new relationship. In fact, we remained friends for years until she retired and every now and then she would send an email with just a random four digit number in the body: 5738 or 8637. 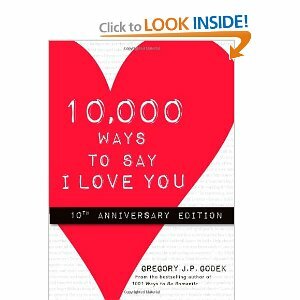 Since I never got the book, I can’t tell you which of the ten thousand ways those numbers referred to, but I always responded in kind. And I will again today.